The most important meal of the day is breakfast! 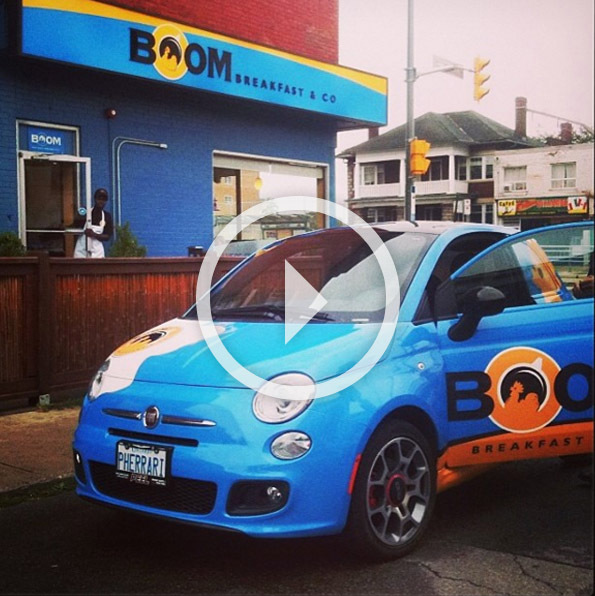 Enjoy our BOOM Power Breakfast made with Ontario bacon, Sausage "Eh and our own crafted omelettes. Choose from our Sandwich Academy selection, Burgers and salads. Craving something sweet? 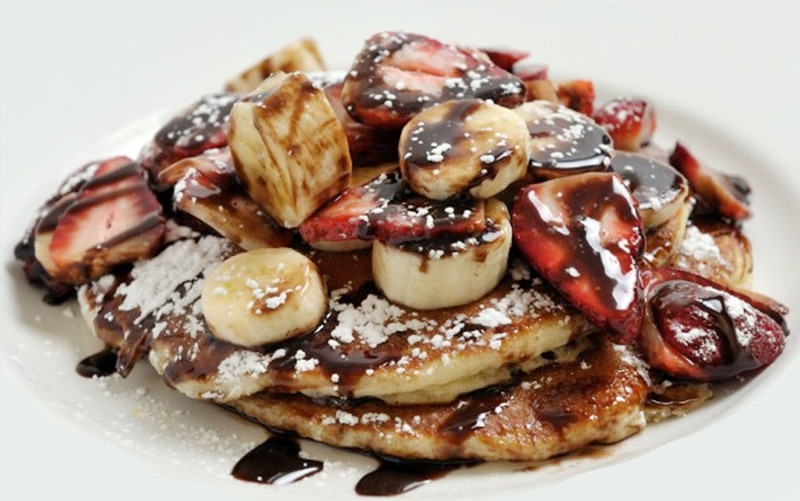 Indulge in our Sweet Dreams - Pancakes, French Toast and fresh Waffles. Finish off with our Espresso Bar. Our fans call us the best breakfast restaurant in Toronto, and we humbly tell them that we just make our food with passion, and serve it with love, and that always works for us. Our first location opened on the College strip just east of Ossington in Winter 2003. Now in our 12th year we have recently expanded beyond Toronto’s borders with our newest location in Vaughan that also happens to be our largest. It’s an expansive space which seats 80 plus guests, and an additional 40 during the summer patio season. We have 4 convenient locations to serve you the Best Breakfast in Toronto and Vaughan. Drop in for our breakfast, lunch OR brunch, or just enjoy an alcoholic beverage in our licensed establishments. We also proudly serve both Fair-Trade, Organic coffee and espresso-based drinks from Reunion Island. Available for dine-in or take-out. We also welcome corporate breakfast meetings and large groups during the weekdays. Our commitment to fast service and offering the best breakfast in Toronto will fuel your meeting to success. Start your day off with a BOOM! In the Media: Over the past decade we've been regularly featured by a wide range of media, including blogTO, toronto.com and Toronto Sun as one of the best places for breakfast in Toronto. We've also been tapped for our expertise in tastiness by Breakfast Television, the most watched morning show in Toronto! Business Meets Food Pleasure: Not Just for classic Sunday brunches with family and friends, we also welcome corporate meetings and large groups on weekdays. Our commitment to fast service and delicious food will fuel your meeting to success.